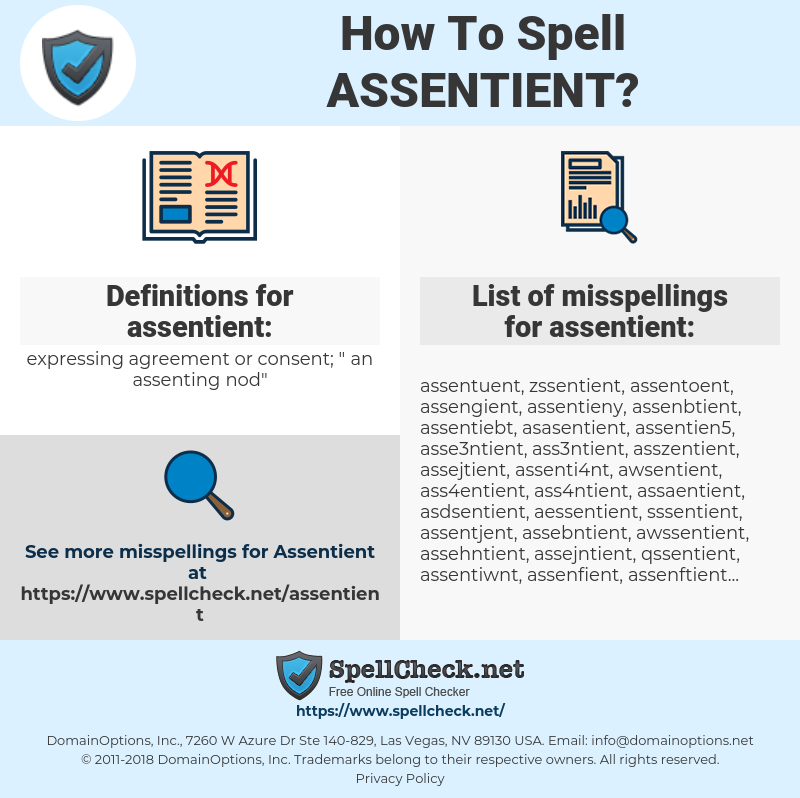 What are the common mistypes for assentient? What is the definition of assentient? What are the translations for assentient? 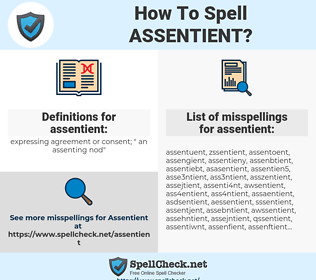 What are the common typos for assentient? expressing agreement or consent; "an assenting nod"
This graph shows how "assentient" have occurred between 1800 and 2008 in a corpus of English books.